Is there any way to expand/collapse a Month-Year into daily data? 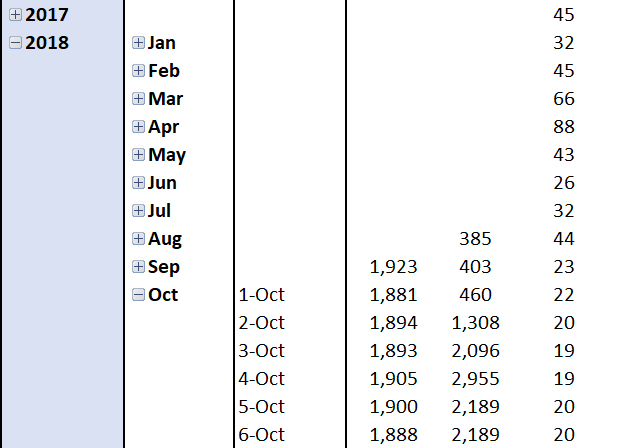 For example in excel how we can expand(break down) the month into days with the +/- button. what you can do is to use linked report with 'inline' target. This way the main rown (year/month) will be expanded to whatever you like (month/day).